As general and family dentist, Dr. Pate believes preventive dentistry forms the foundation for vibrant smiles. Patients of all ages can visit our practice for comprehensive dental care, including oral cancer screenings and nightguards. From young children to senior adults, we have created a warm, inviting environment for all of our patients. You deserve lifelong oral health, so we encourage consistent oral hygiene and regular appointments. Regular checkups will include individual consultations and dental exams, cleanings, x-rays, and a focus on encouraging proper home care. Once we develop an accurate picture of your oral health, Dr. Pate will work with you to generate a customized plan for improving and protecting your smile. If it’s time for your next checkup, be sure to contact us today for an appointment! To learn more about how we can keep your smile healthy and beautiful for years to come, simply read on below. These services have long been the cornerstone of dentistry, and the reason for that is simple: they work! 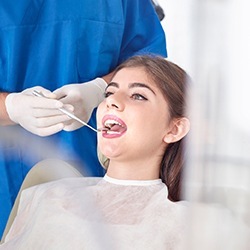 During these standard preventive care appointments, one of our excellent hygienists will thoroughly clean your teeth of harmful plaque and tartar deposits, and then Dr. Pate will perform a thorough oral exam. With this, he’ll be looking for the subtle signs of common dental problems, including tooth decay, infection, cavities, gum disease, and more. By coming to see us at least twice a year, we’ll not only be able to keep your smile bright, but we’ll also make sure any dental issues won’t have the chance to harm your smile. Bringing your child to the dentist from an early age is absolutely essential to making sure their teeth develop correctly and stay healthy throughout their lifetime. 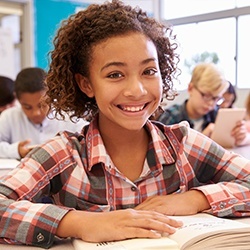 At Dentistry in Buckhead, we have everything your child needs to achieve and maintain a strong smile, and our kid-friendly team will know exactly how to keep them calm, cool, and comfortable during their visits. With our support and your help at home, we can make sure your child has a lifetime of gorgeous smiles. Bruxism is an extremely common condition where people unconsciously clench their jaws and grind their teeth. This occurs primarily while a person is asleep. To help protect your teeth from this sneaky problem, we can provide you with an occlusal guard (nightguard). 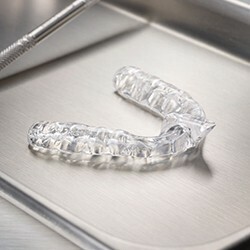 This is a custom-made mouthpiece you’ll wear to bed, and it will place a comfortable barrier between your teeth to prevent damage during the night. 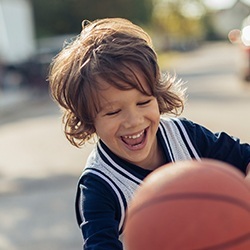 Before participating in sports, make sure your teeth are protected by wearing a mouthguard. Up to 40% of all sports injuries are actually dental-related. 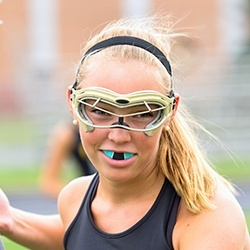 Rather than trusting your smile to a generic, ill-fitting mouthguard from a sporting goods store, we can provide you with a completely custom-made guard that will be more comfortable and do a much better job of defending your smile. Oral cancer rates are on the rise here in the United States, especially among young, healthy people who don’t use tobacco or alcohol excessively. This is why the American Cancer Society recommends that patients of all ages should receive at least one oral cancer screening each year. Dr. Pate can perform one as part of your regular checkup, and should he find anything that causes concern, he can help you take quick and appropriate action. Fluoride is a naturally occurring mineral found in foods and public water that has shown to strengthen the teeth against both tooth decay and cavities. Many people aren’t getting the recommended amount in their diet due to an over-reliance on bottled water. We strongly recommend fluoride treatment at your regular hygiene visits. 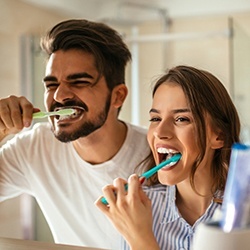 Most of your dental care actually occurs at home, so the products you use on a daily basis are absolutely essential to your long-term dental health. Our practice is more than happy to give you recommendations as to which ones you should use. In addition, we can provide trusted products, such as power toothbrushes, home fluoride, and Spry gum that our own team uses to keep teeth healthy and clean between appointments.